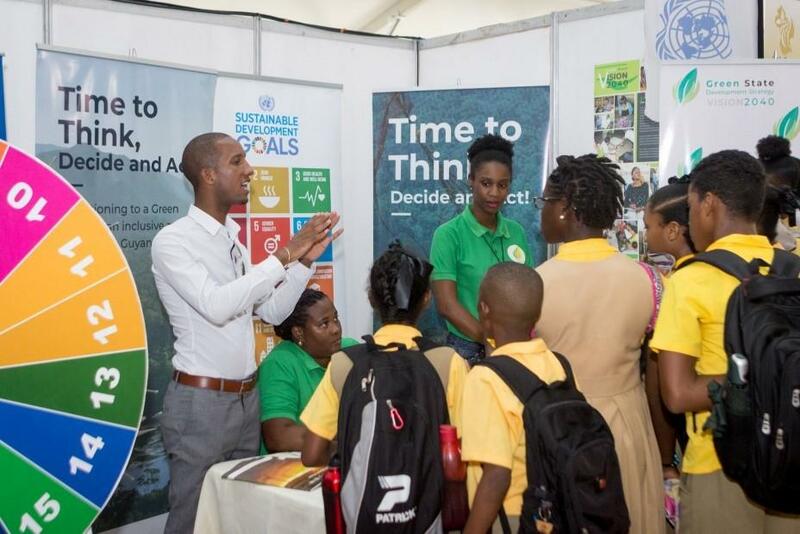 22 October 2018, Georgetown, Guyana - Guyana’s inaugural Green Expo and International Small Business Summit was held in Georgetown from the 18th – 21st October 2018. The event, held under the theme Sustainable economic growth through small business innovation, entrepreneurship and transformative government policies was made possible through the collaborative efforts of the Ministry of the Presidency, UN Environment, Partnership for Action on Green Economy (PAGE), IDB, the African Business Roundtable, and the Small Business Bureau of the Ministry of Business. 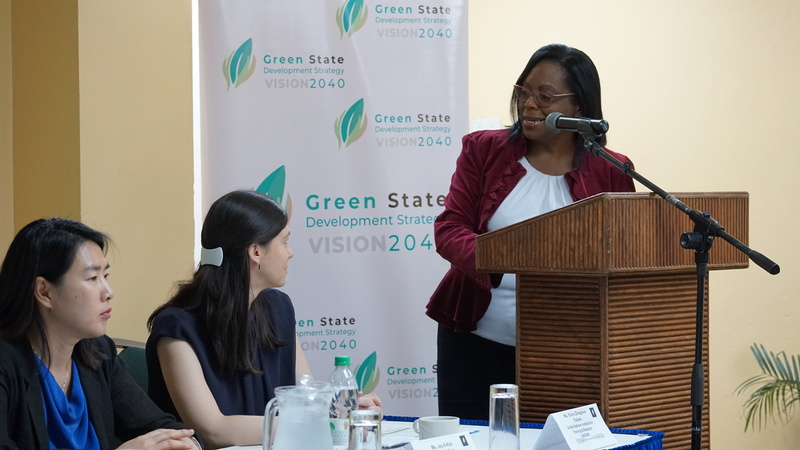 PAGE participated at both events and took the opportunity to enhance public awareness on the Guyana Green State Development Strategy: Vision 2040 and PAGE's work in the country. UN Environment and the Department of Environment presented the first draft of the Strategy to the Government of Guyana International Small Business Summit. The Green Business Expo provided small-scale entrepreneurs with an opportunity to showcase their green and innovative products. 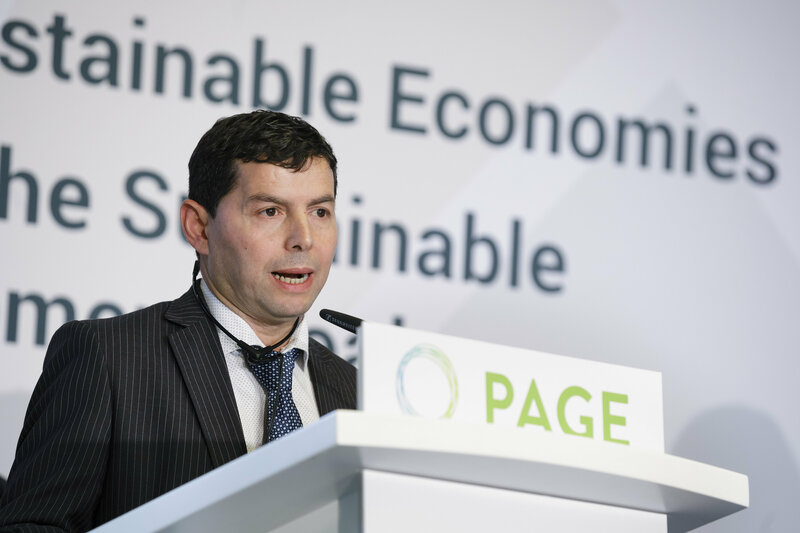 Patrons also had an opportunity to find out more about PAGE's work in Guyana, including the macroeconomic modelling and green industry assessments undertaken to inform the elaboration and support the implementation of the Green State Development Strategy Vision 2040. The significance of intermingling policy and small business was clear: entrepreneurs cannot make the shift to becoming competitive, green and social enterprises without a supportive financial, legal, regulatory and technical environment. Throughout the summit and expo you will see evidence of how small business are innovating in Guyana today, and the success of Government efforts to support them. Public initiatives like the small business procurement programme, the assistance offered by the Small Business Bureau, and the small business tax procedures, all strengthen the enabling environment and help small businesses thrive. At the International Small Business Summit, the connection between small business and green economy was also in focus. In his keynote address, Winston Jordon, the Minister of Finance, noted that small and medium-sized businesses have a vital role to play in the transformation of Guyana into a green economy. The Summit provided the platform for experts, entrepreneurs, academia, politicians and the other representatives from 16 countries to exchange information and experiences in green economy initiatives. 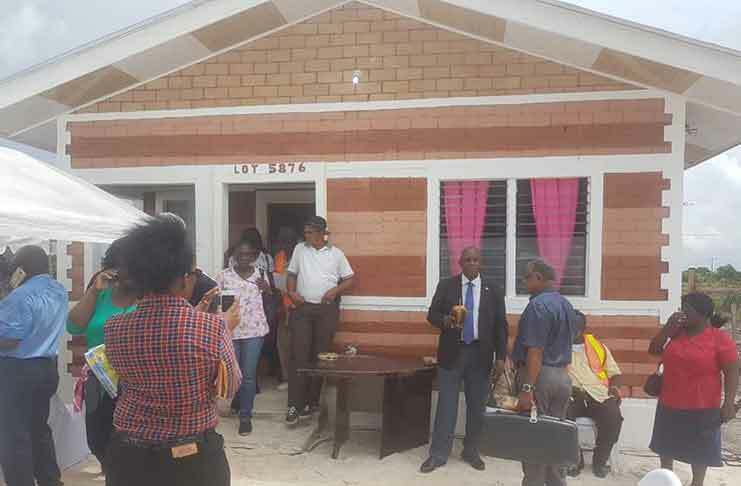 July 1 2018, Linden, Guyana - Low-income earners in Guyana now have increasing access decent homes, thanks to a housing project that is embracing the circular economy for economic, environmental, and social benefits. The project, based in Linden, a mining community, uses the excesses from bauxite extraction which had previously been discarded as its primary building material. The community suffers from a housing deficit, and most affected are low-income earners with no access to commercial loans. According to Robert Cameron, owner of Linden Bricks, houses built with bauxite blocks have several benefits. The bauxite bricks can automatically interlock, making construction faster and more economical, as many of the traditional binding materials are no longer required. The houses are also cooler, as heat takes a longer time to penetrate the dense bricks. There is also no need to paint, as the brick is weatherproof and visually appealing. According to the Mayor, Wanaka Arindell, the amount of bauxite excess available in the Linden after more than a century of bauxite mining is enough raw material to have bricks manufactured for the entire country. “The overburden is waste is of no value, but it has been said, ‘What is one man’s trash is another man’s treasure’,” said Remington Nelson, representative from the Ministry of Communities. Full story courtesy of the Guyana Chronicle: available here. The Guyanese government has fully embraced the importance of understanding the intersecting priorities of labour and the environment, concluding that the future Green Jobs Assessment model would become an integrated part of the implementation of its Green State Development Strategy. The Green Jobs Assessment model will provide the government with tools for impact assessment of the alternative scenarios of conventional and green jobs as well as on other economic, social and environmental outcomes. Within the next three years, the Guyanese Green State Development Strategy will allow the government to better plan budgets for the short to medium term, and to model important macroeconomic structural changes and its impacts on social and employment outcomes. The government of Guyana will use the International Labour Organization's Just Transition Guidlines as a framework document for their development strategy. 2 March 2018, Georgetown, Guyana -- The Partnership for Action on Green Economy held a mission to Guyana, which joined PAGE in March 2017, to support the country’s efforts to transition to an inclusive green economy through the creation of a Green State Development Policy (GSDP). 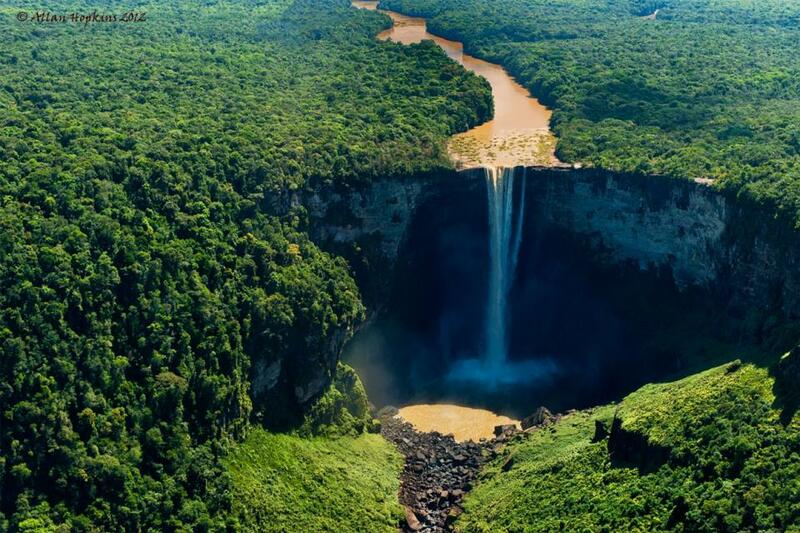 The government of Guyana’s green development policy will lay the foundations for inclusive green economic growth, provide a roadmap for achieving sustainable development goals and related targets, and outline a long-term vision for a prosperous and equitable future. PAGE is providing analytical and technical support to help develop and execute this strategy. 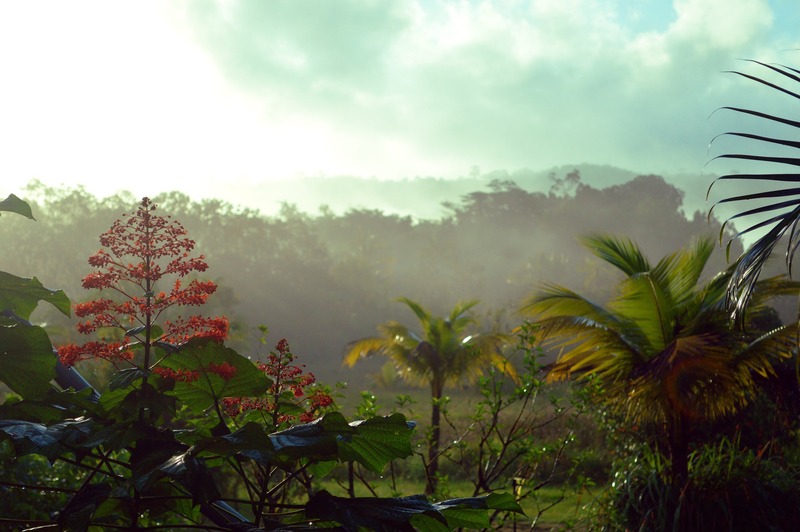 The objectives of the mission, which took place from 26 February- 2 March, included work on advancing macroeconomic modelling, a Green Conversation on “PAGE: Green jobs and Sustainable Business”, green industry assessment, as well as discussions with the Ministries of Finance and Foreign Affairs on Guyana’s agricultural, forestry, energy and infrastructure sectors. 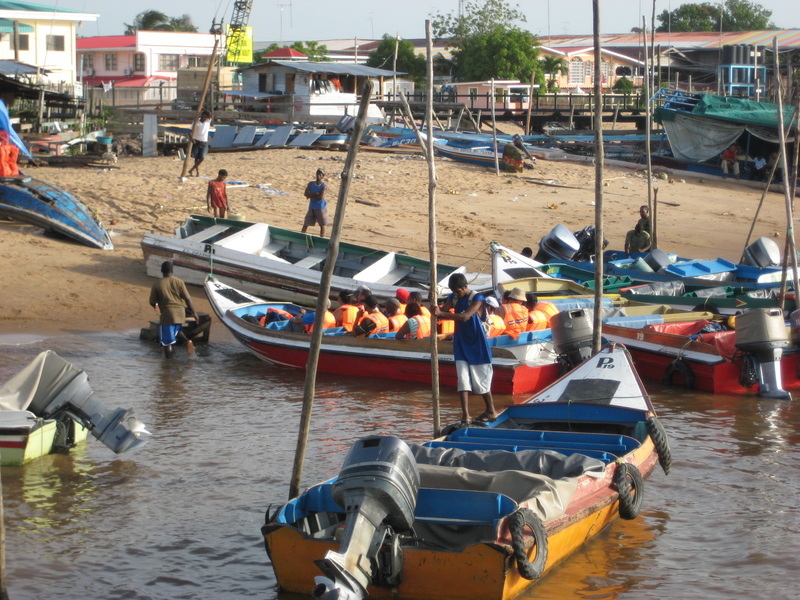 The mission demonstrated that partners across Guyana are well on their way to establishing an inclusive green economy, and that the forthcoming Green State Development Strategy will lay strong foundations to build a prosperous and equitable Guyana. PAGE, in collaboration with the Government of Guyana and a broad range of national partners will continue to support the advancement of these efforts and the flourishing of a green and inclusive economy.